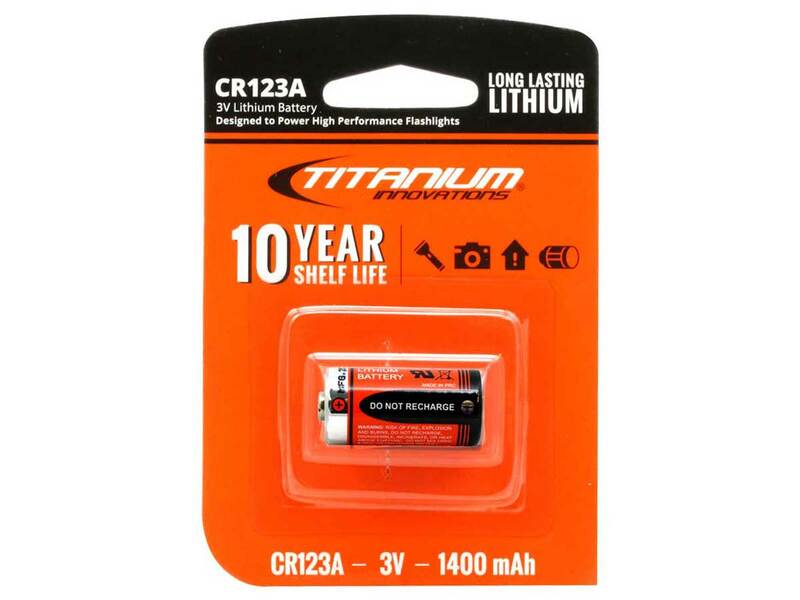 Titanium Innovations CR123A 3V Lithium Battery is an industry leader in performance and value. 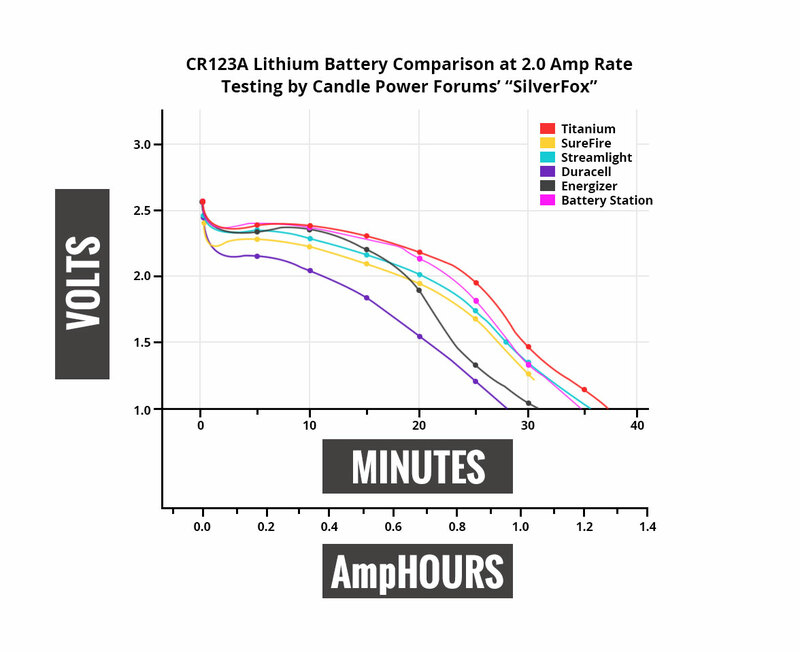 Many independent tests have been done to prove that this battery outperforms all the big name brands such as Duracell, Energizer, or SureFire for a fraction of the cost. Furthermore, the Titanium Innovations CR123A has been through rigorous third party review and has earned many certifications – RoHS Compliant, UN(38.3 T1-T8), UL(MH47680), CE, and SGS.